Have you seen this BBC article in September 2015 "Will a Robot take over your Job?"? The first thing I did when I read it was I immediately checked if SAP Basis was in the list, or at least IT Analyst / Architect. Phew! Luckily I think we're still pretty safe. But that doesn't mean we should stop finding ways to make our daily repetitive tasks more efficient, and if possible automate them. 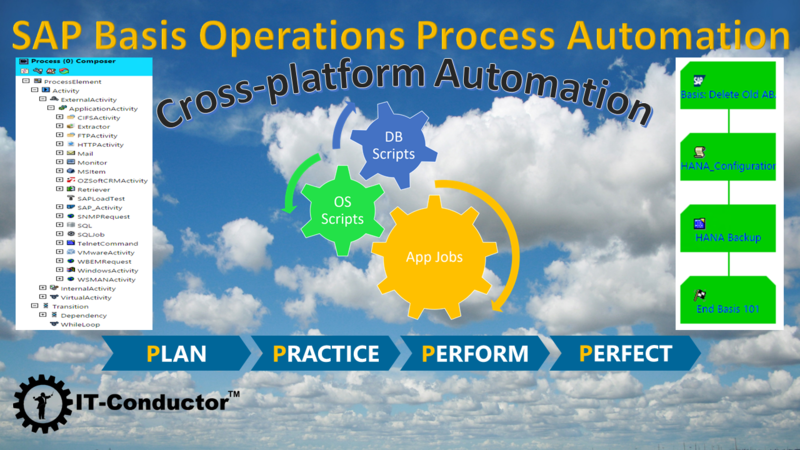 This is where IT Operations process automation can help. 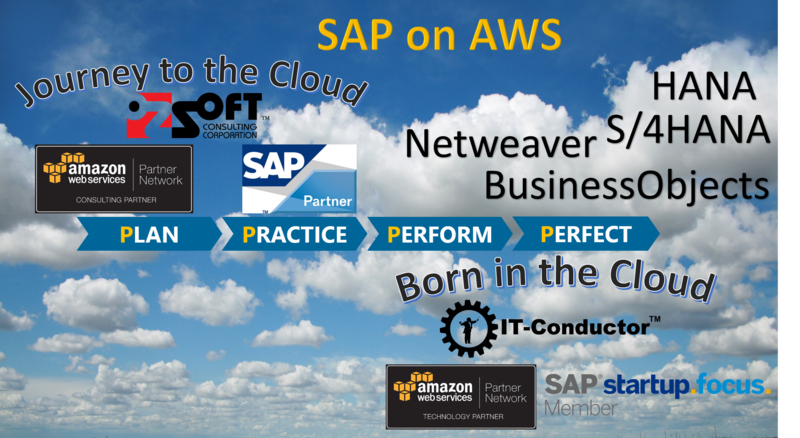 Yes SAP Basis and IT Operations folks can be just as cool applying DevOps to automate a lean enterprise IT. Not sure what DevOps is? I like this non-conforming take on DevOps by Stephen McKay "What (I think) Enterprise IT really needs to learn from the DevOps movement" especially his challenge at the end 'So go prove it - go make a difference in your IT department, and make IT a different experience in your Enterprise'. 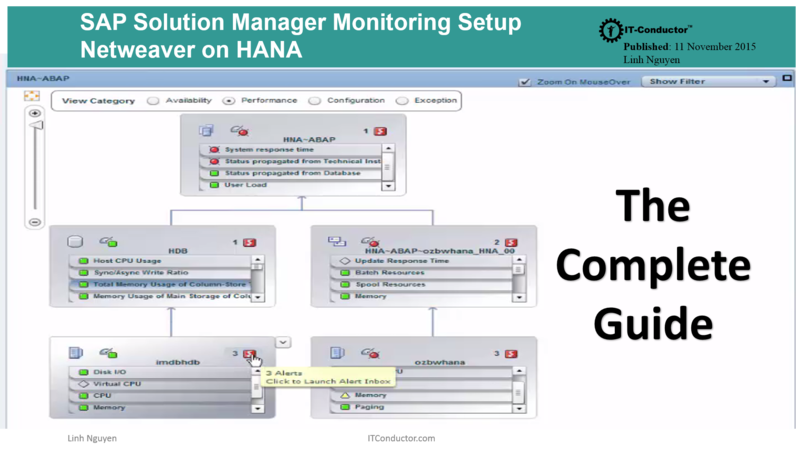 Back to the meat of this publication, we're going in depth to reveal how IT-Conductor can help SAP Basis and IT Operations compose and schedule a process which automates a set of cross-platform activities involving administrative scripts, and jobs such as Basis housekeeping tasks, database scripts such as HANA Mini-Checks, and OS-level scripts. Why do something manually if it can be automated? Nowadays almost everyone has a smart phone, some have started to use smart watches, a few lucky early testers have gotten the chance to try smart driver-less cars (especially here in Silicon Valley near Google), while smart homes are also on the rise. Why not Smart IT? We previously provided a high-level overview of 10 Ways to Smart Automation. In this publication, we're going in depth to reveal how IT-Conductor can help SAP Basis and IT Operations automate administrative scripts, and jobs such as Basis housekeeping tasks, database scripts such as HANA Mini-Checks, and OS-level scripts.